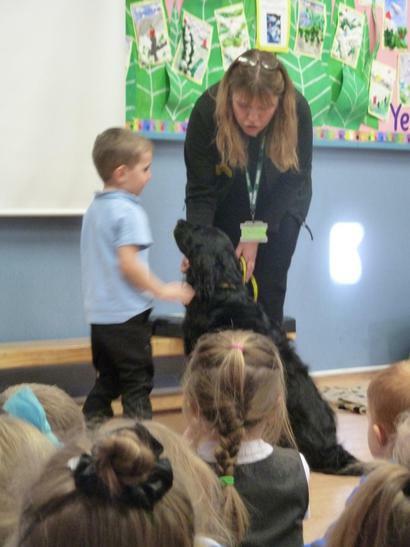 Yesterday afternoon, children had a superb visit from Lyra a very special dog. 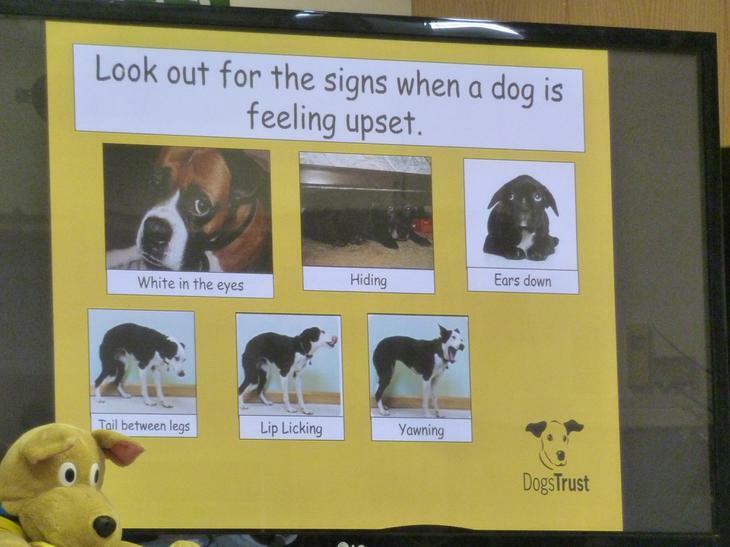 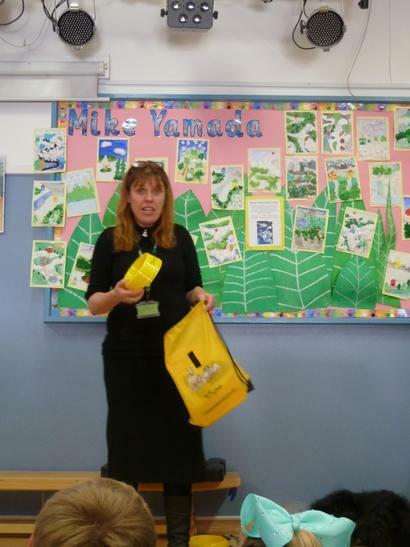 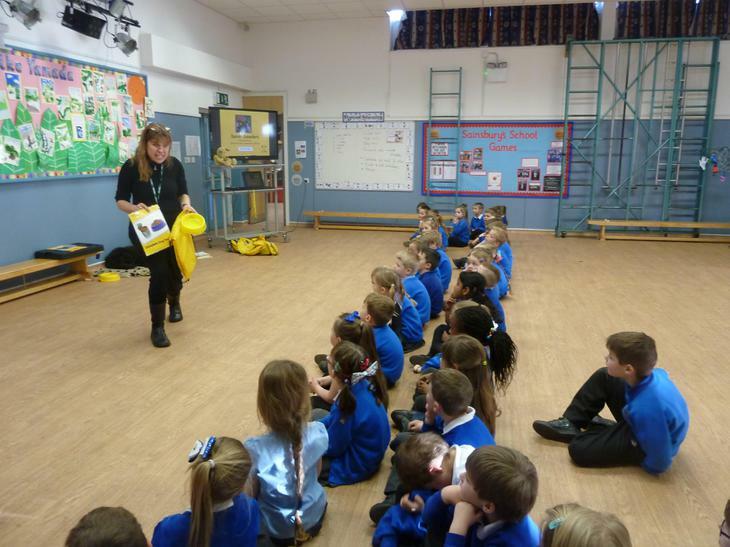 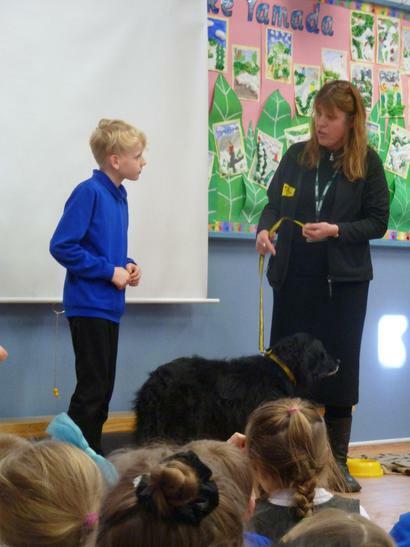 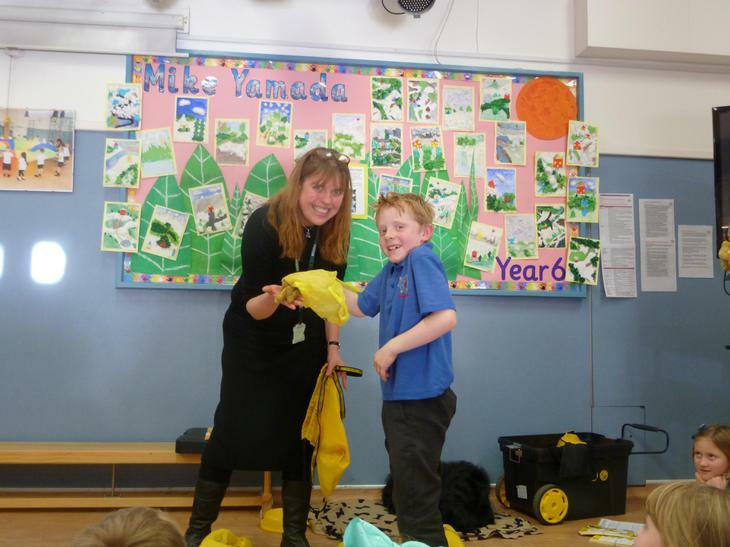 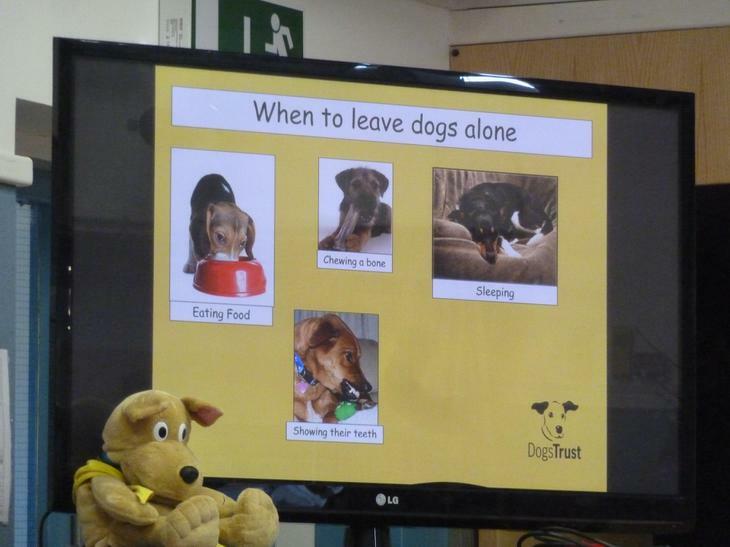 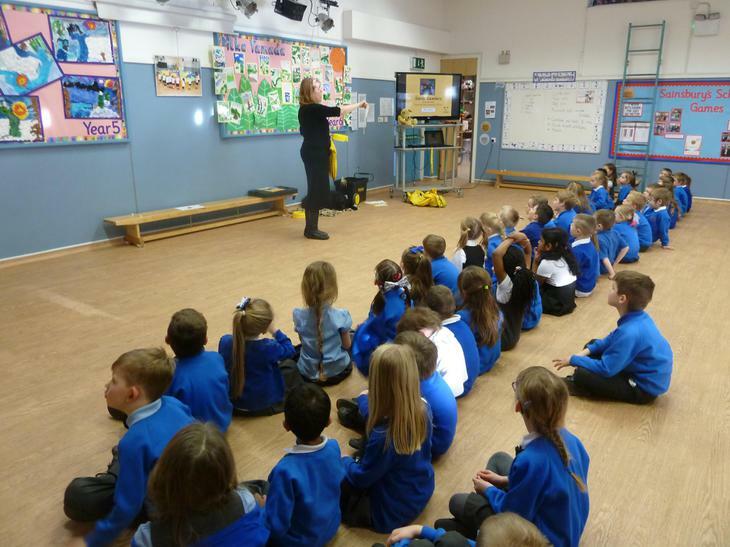 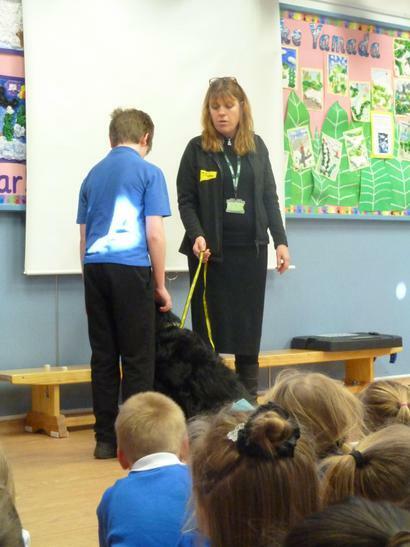 Lyra and her owner Sarah visit different schools to teach them about taking care of dogs. 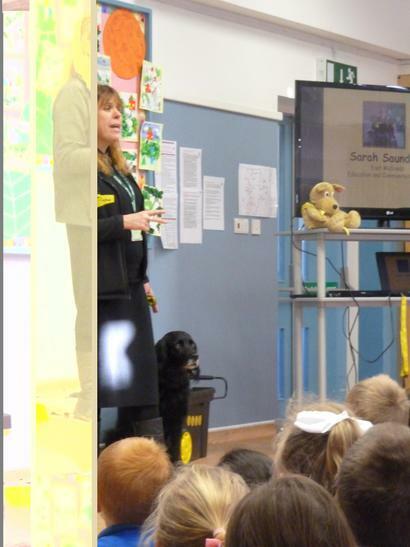 The owner Sarah represented The Dog's Trust charity and works tirelessly to rehome abandoned dogs. 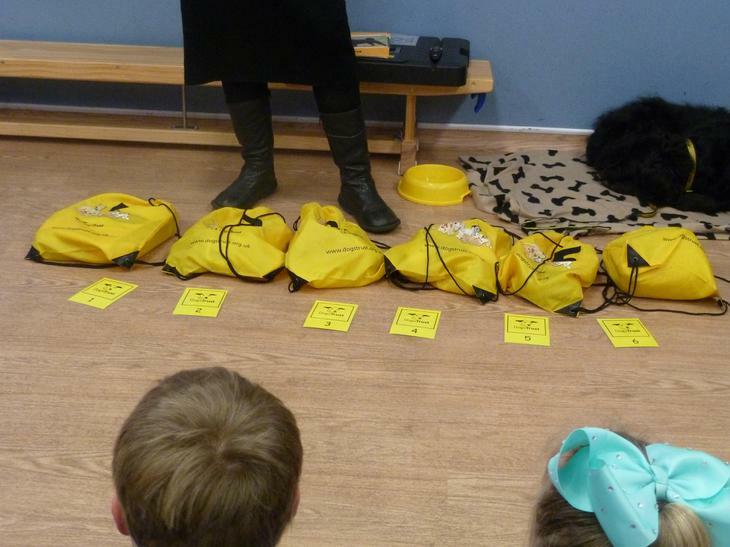 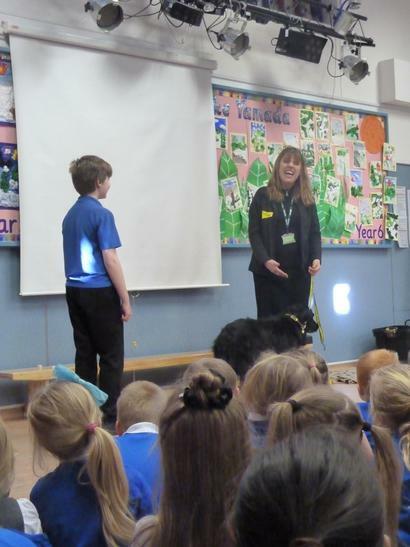 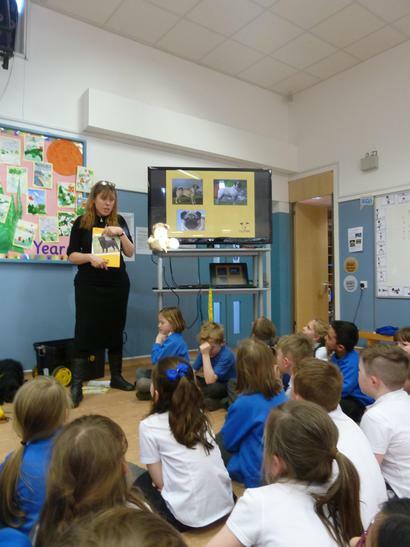 Sarah explained to the children that many dogs are not taken care of and helped them to recognise ways to stay safe around dogs. 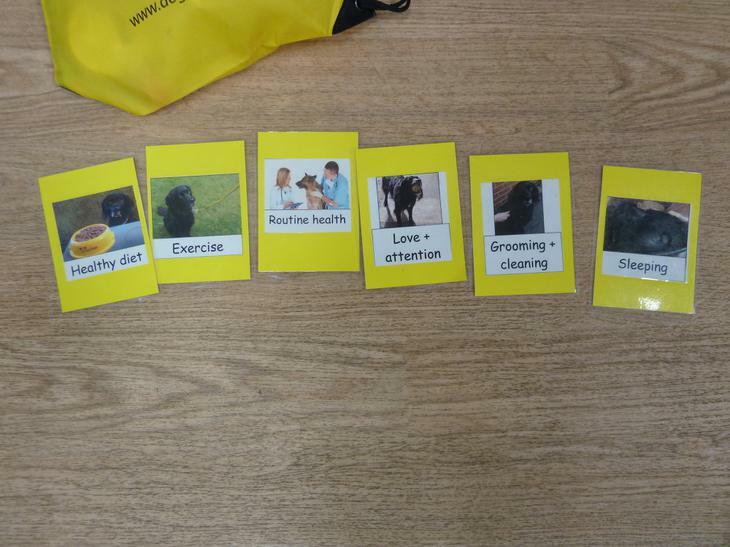 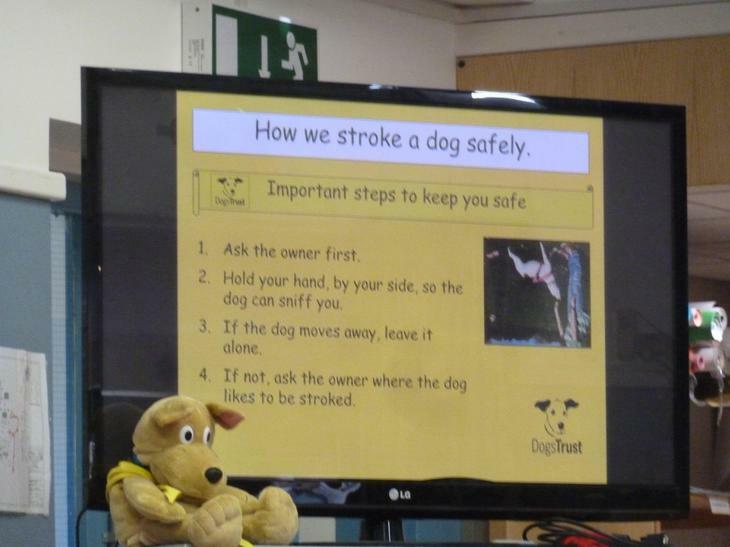 They understood strategies to help them understand how to greet dogs and their owners. 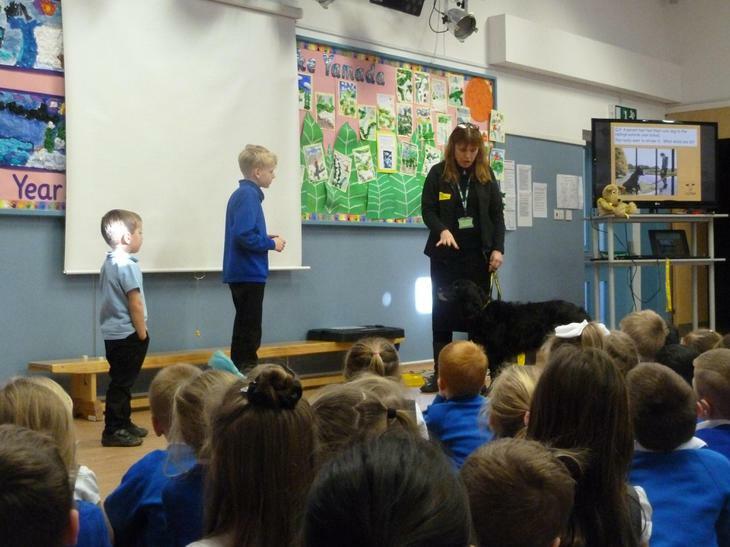 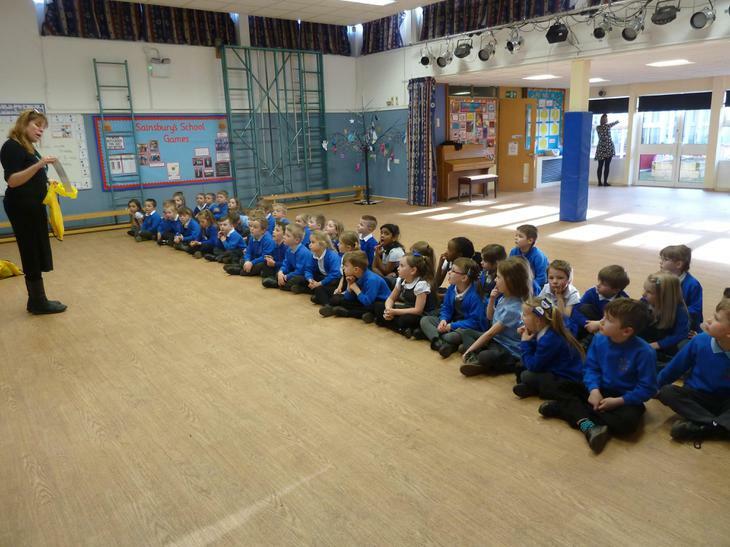 Above all the children really enjoyed meeting Lyra!